LONDON (Reuters) -- Demand for new cars in the UK slowed last month after hitting a 10-year high in March, but the industry's main trade body, the Society of Motor Manufacturers and Traders, remained confident that low interest rates and rising wages would bolster future demand. Deliveries in April rose 8 percent to 176,820, the 26th consecutive month of growth in the market. That helped four-month sales rise 13 percent to 864,942, the SMMT said today in a statement. UK car sales are highly seasonal. New registrations in March rose 18 percent to 464,824 boosted by a twice-yearly change in registration plates, which helped lift demand. The UK joins the other major European markets of France, Spain and Italy in reporting sales increases last month. French sales rose 6 percent to 166,968, while in Italy, registrations were up 2 percent to 119,099 vehicles. In Spain, sales increased 29 percent to 80,174, helped by a government subsidy scheme that gives buyers of new vehicles a rebate for turning in old cars. Germany was the only top five regional market to report a drop in sales last month as deliveries fell nearly 4 percent in April to 274,097. Today’s figures prompted the SMMT to revise up its forecast for 2014 sales to more than 2.4 million registrations from a previous forecast of 2.3 million - equivalent to a 6 percent rise from 2013, when car sales were at their highest since 2007. "After the bumper plate-change month of March, the UK car market returned to more modest but still positive growth in April ... as GDP continues to pick up, inflation falls and wage levels improve," said Mike Hawes, the SMMT's CEO. The UK saw strong economic growth last year and wages have also caught up with inflation for the first time in nearly four years, emboldening consumers to buy big-ticket items. Cheap credit and competitive finance deals have buoyed the sector, analysts said, with record low interest rates not expected to rise until the first half of next year. 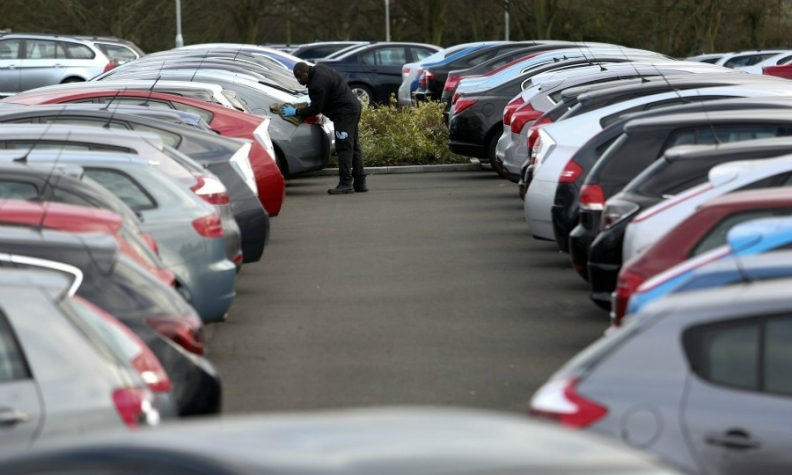 "As long as we have low interest rates it is likely that car finance deals will remain appealing for those consumers considering buying a new car," said Chris Sutton, managing director at motor finance provider Black Horse, part of Lloyds Banking Group. The best-selling vehicles in April in the UK were Ford's Fiesta subcompact and the compact Focus, followed by Volkswagen's best-selling Golf compact and General Motors' Vauxhall Corsa subcompact, the SMMT said.